Babolat Club Line Junior Backpack is a single racket holder as a backpack. The rear compartment holds a racket and has a handle cover on elastic cord to keep the handle protected. The front compartment gives ample storage for daily items for school or training. An extra pocket for smaller items provides more secure storage.Dual backpack straps with padding on the bag rear and straps keeps the bag comfortable to wear. 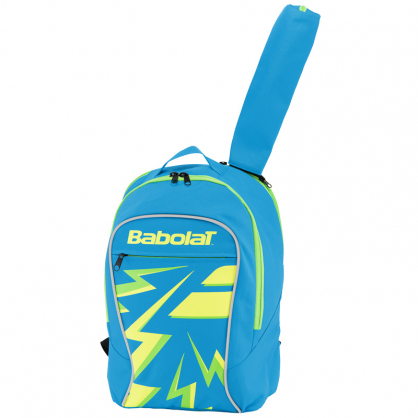 Do you own the Babolat Club Line Junior Backpack Blue-Yellow?